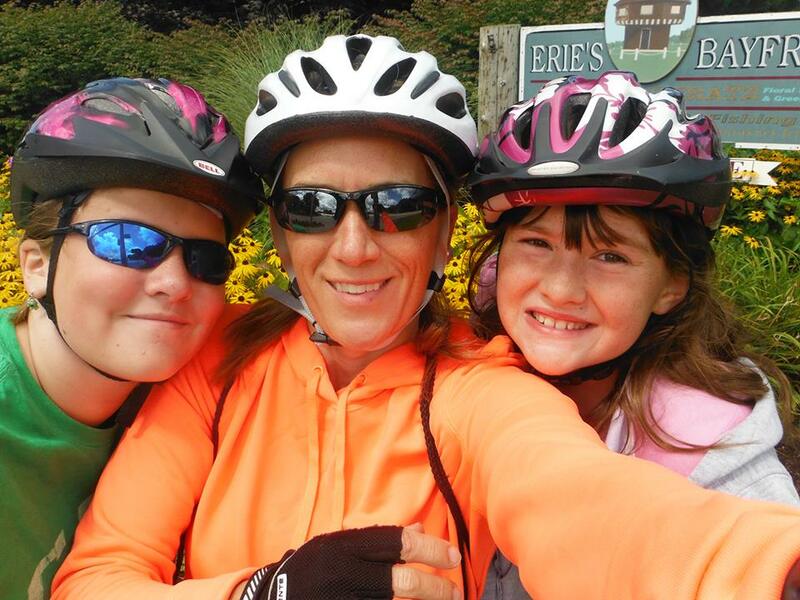 Connecting Behrend to the Bayfront and beyond – Hit the trail! I’m an avid runner and I live just a few miles from Penn State Behrend. Several years ago, when the Commonwealth was clearing land to make way for the Bayfront Connector, they ruined some of my best running routes. I harbored a grudge against the Bayfront Connector for a while because of that. But then, persuaded by the convenience of traveling to downtown Erie in 10 minutes, I reluctantly began using the road and noticed there was a meandering blacktopped path to the right of the road. What’s this? Could they have thought of the runners and walkers and bikers? Could it actually run the entire length of the road? No, they wouldn’t have thought of us. (Yes, I do tend to be skeptical, but in my defense, I worked for the newspaper for fifteen years and you just kinda end up that way when you’re a journalist). I’m happy to tell you that I was dead wrong. 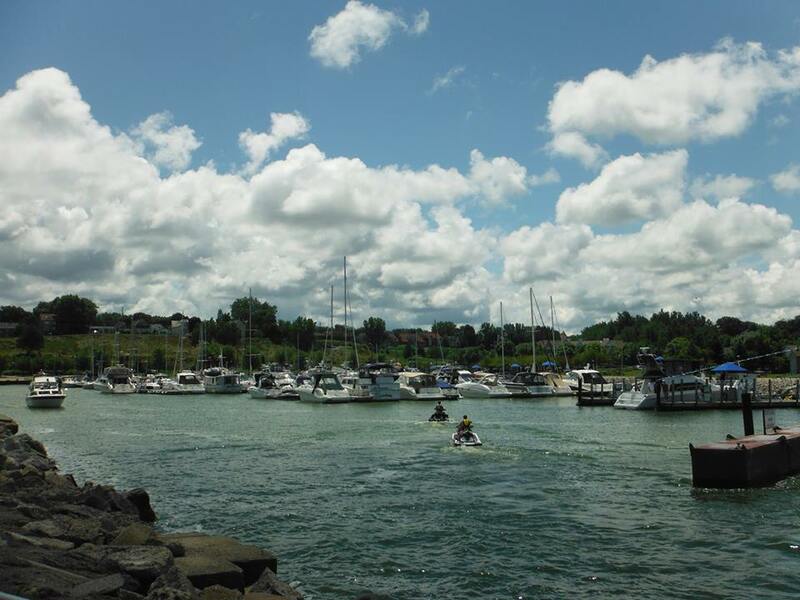 Indeed, there is a wide paved recreational path (similar to the Multipurpose trail at Presque Isle State Park) that runs continuously alongside the Bayfront Connector from Penn State Behrend to Frontier Park on Erie’s west side. The idea for a landscaped trail alongside the road took root during PennDOT’s public hearings about the planned connector. A committee of various interested community members formed and presented ideas to PennDOT. Soon, the meandering trail featured landscaping, decorative noise walls and stonemasonry dividers along the connector, was part of the plan Petit said. You can also get on the trail from the Logan House on Station Road. Trailhead is to the left of the parking lot. 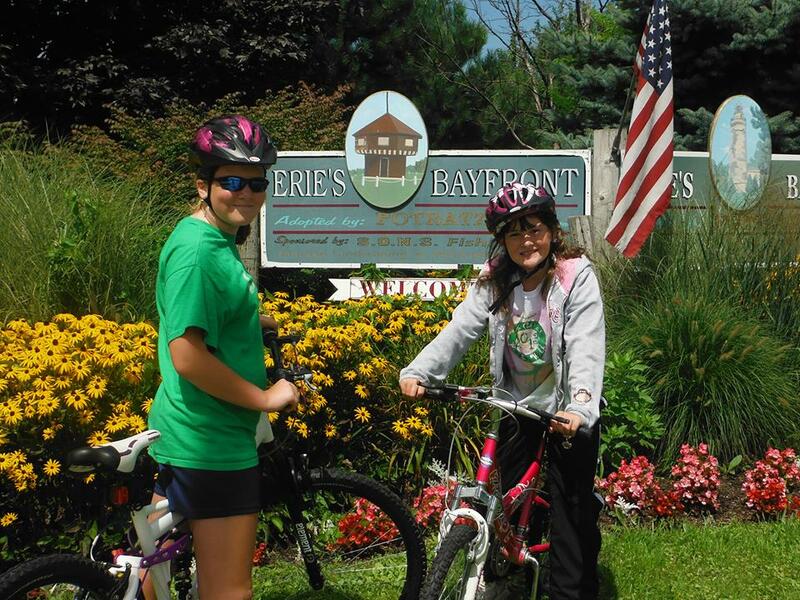 Distance via the Bayfront Connector Trail from Behrend (Erie lot entrance) to…. 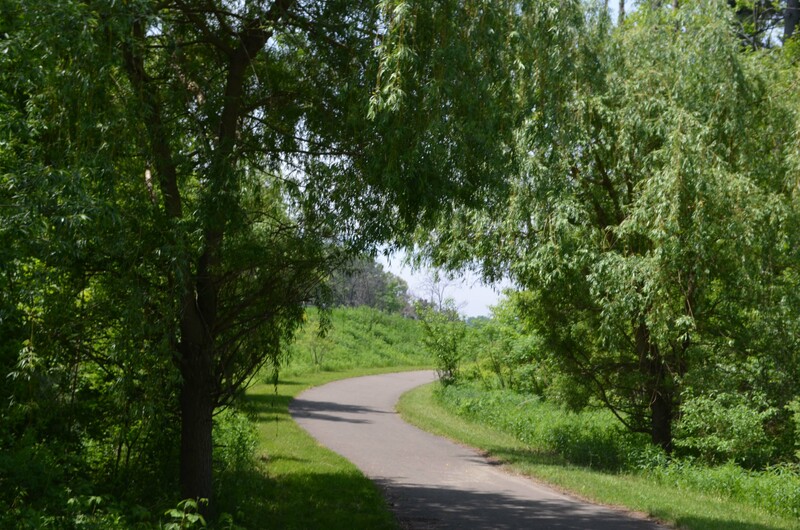 The paved path ends at Frontier Park, but you can ride/run/walk down to Sixth Street and use the bikeway lane all the way to Presque Isle State Park for an 11-mile (one-way) trip from Behrend. Here’s a map of the entire Bayfront Connector Trail (with mileage markers) from Behrend to Sara’s restaurant at the foot of Presque Isle State Park. It’s about 5.5 miles from Behrend to this sign at the foot of the bayfront where the Bayfront Connector meets the Bayfront Parkway (trail continues along Parkway). 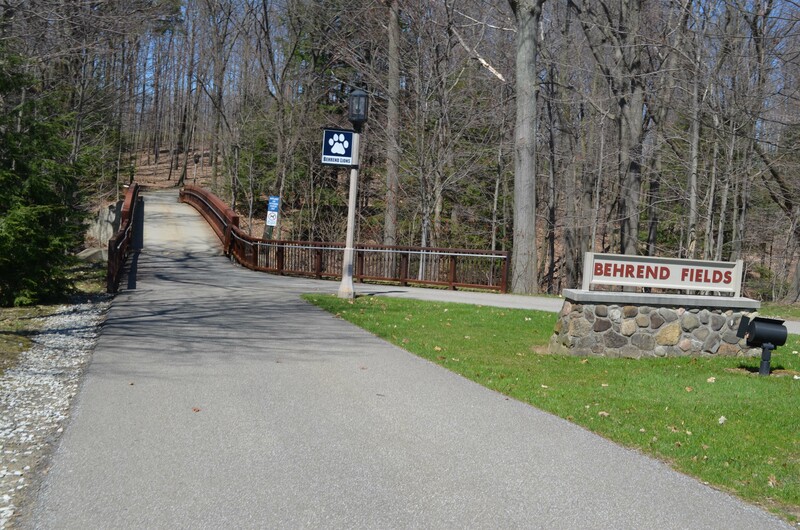 It’s about 6.5 miles from Behrend to Dobbin’s Landing (above) at the foot of State Street. 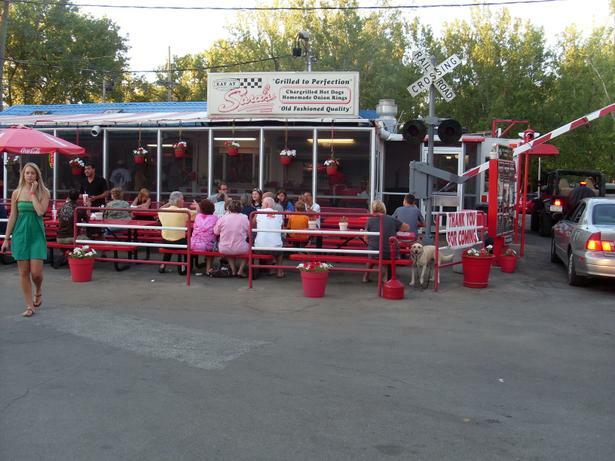 It’s about 11 miles if you go all the way to Sara’s at the foot of Presque Isle State Park. Bring some money so you can refuel with a foot-long Smith’s hot dog, curly fries, and ice cream! There’s much more to be seen than grass and trees. It changes from the manicured green lawns of Penn State Behrend to an inner-city setting with factories and 6-lane intersections to a bustling bayfront with gorgeous lake views. 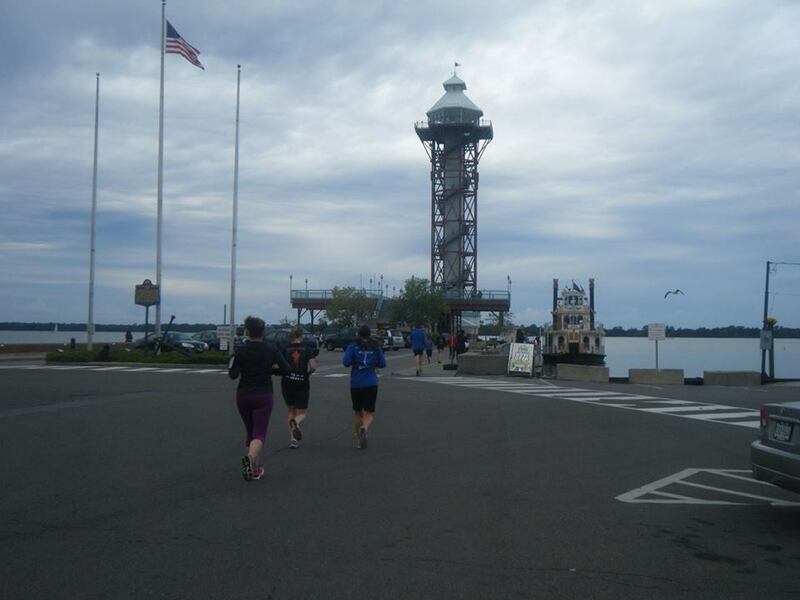 The Bayfront Connector has been designated a National Scenic Byway and is part of the Great Lakes Seaway Trail, owing to the scenic vistas and intrinsic qualities that make it different from your run-of-the-mill ribbon of concrete slicing the landscape. Good News: It’s all downhill from Behrend. Bad News: It’s all up on the way back (you know, when you’re good and tired). So, you may want to get a family member or friend to pick you up. (This map includes an elevation chart). The path may appear to end at various roads/places along the way. It doesn’t. Just look ahead and you’ll see where it starts again. One place that the trail pickup is not obvious is at State Street. To get on the trail again, cross State Street and enter the parking lot for the bait shop/miniature golf course. Run/walk/bike to the back of the lot and turn right and you’ll run into the path again just past the Bayfront Convention Center. I’ve run/biked/walked this entire trail countless times myself, with friends, and with my kids and have never once felt unsafe on the trail, but it does go through the woods in some spots and it goes through areas of the city that some people avoid. My advice: Take a friend and a cell phone. Also, I would not recommend using the trail after dark. 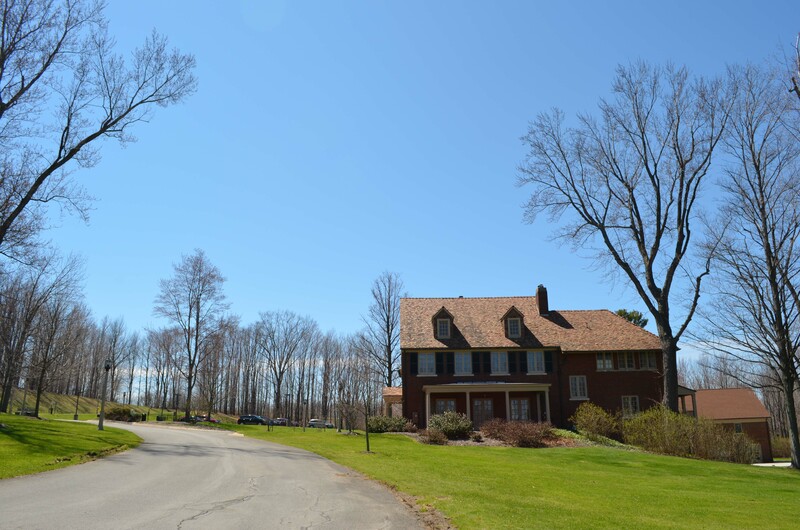 The only portion of it that is lit is the part on Behrend property from the college to Logan House on Station Road. Most of the trail is blacktop, which is kinder to a runners’ knees than cement and is great for biking/roller blading. The trail is not maintained (read: shoveled) in winter. Bad for runners/walkers/bikers — great for cross country skiers. I’ve covered every inch of this trail/road by car, foot, and bike, and I’m happy to take your questions at hjc13 @ psu. edu. So….what are you waiting for? Go explore!